This entry was posted on January 26, 2017 by Zoe Thomas. 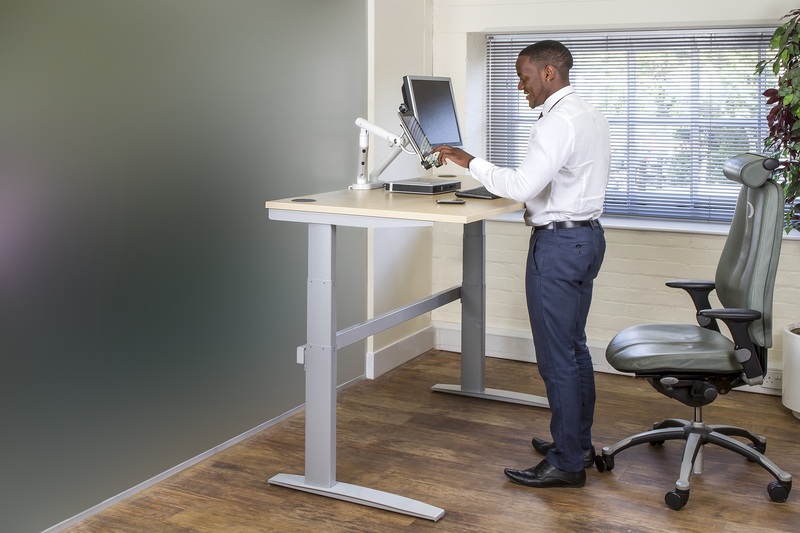 I've been a fully-fledged sit-stander at work for over a year now, enjoying the higher activity levels and health benefits my DeskRite 500 gives me. Standing up while I type raises my heart-rate from an 'almost dead' resting rate of 54bpm, to a more acceptable 60bpm and upwards. This is good news as it means my heart is working harder to fuel my muscles when I'm standing. It also means my brain's getting plenty of oxygen - helping fight that 3pm slump (it's not easy to nap standing up). But now it's time to level-up again in this workplace health game. excessive pressure of hip, knee and ankle joints. You can reduce these problems by investing in a DeskRite Anti Fatigue Mat, or you can go a step further and introduce some fun to your standing time. 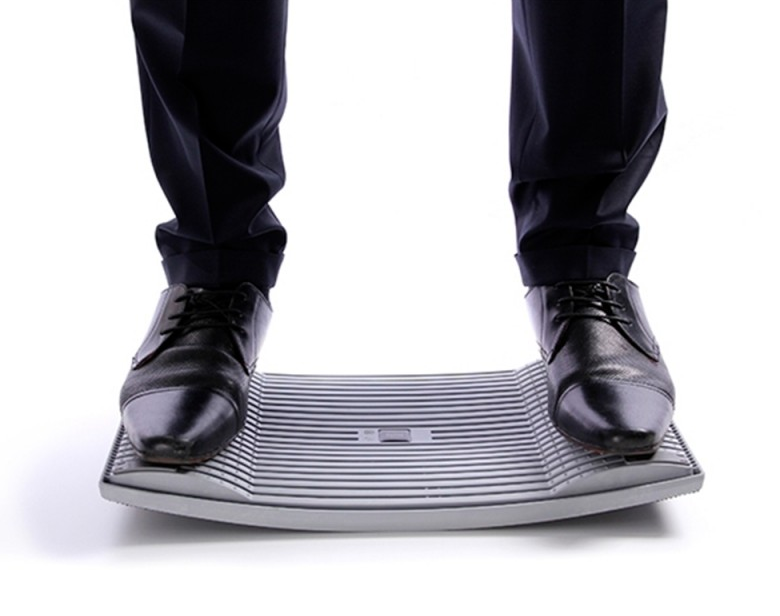 Gymba is a balance board you stand on to activate your core muscles and get your body moving while you work. The idea is that it's curved in shape so your muscles have to work to keep your body upright. According to the manufacturers, regular use 'trains the deep muscle structure, releases tension and relieves back pain'. It is also supposed to work your fitness and balance without you even noticing. What's wrong with plain old standing? Nothing, unless you - like most of us - tend to adopt a lazy posture after a certain amount of time standing at your desk. I often find myself leaning forwards on my desk, or slouching on one of my legs while I'm immersed in my work. Now that I use the Gymba, I find that my stance is a healthy hip distance apart at all times and I am constantly transferring my weight from one leg to the other (kind of like walking on the spot). I've always wondered how people can type away while walking on a treadmill desk, but it's actually easy - I'm pacing away on my Gymba as I type this.